The reports have just come in that Imphal has been stricken with an Earthquake of a hefty 5.5 magnitude. The Earthquake stroked 101 km east of Imphal and 45 km from Bungpa Khunou, Manipur. This is not the first earthquake in Imphal this week, one more Earthquake stroked Wangjing, Manipur on 4 January with a 5.5 magnitude. Magnitude of 5.5 can always cause threat to life and property. The depth of this Earthquake is 22 km, while the earlier earthquake was of 79 km depth. The one came in Mawlaik, Sagain, Myanmar 15 days back was the maximum depth ever recorded in that region with it being 111 km deep. 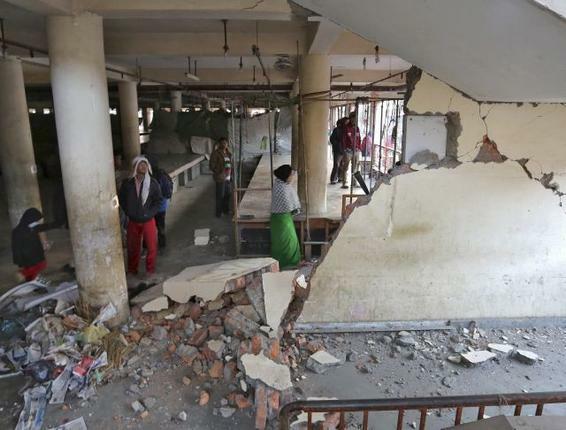 No reports of loss of any life has come in so far as the construction of property in Imphal is done particularly to resist these quakes that come twice a month. Similar strategy is followed in Japan as they have an Earthquake a day hence Japanese architects came up with the moveable building,as they can shift infrastructure of importance to some place else if the situation arises. Since Manipur, Imphal is an extremely hilly region the impact of Earthquake could be felt early before it starts destroying the geography hence the protection of oneself becomes easy. The Earthquake has not caused any damage to life and property though people usually come out on open streets to not take any chances as it would take only seconds for any building to collapse in the Earthquake. Hilly areas have more motion of Tectonic plates under them hence the rector scales are most active to record the exact impacting nature of the quake affecting that particular area. It is never advisable to reject one’s instinct if any shakyness is felt in the ground beneath and there are several household appliances which give the first sign of quake affecting the house. There is scientific way to reject an Earthquake off the list hence prevention seems to be better than cure there. 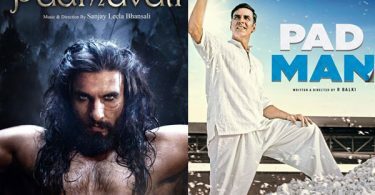 Padmavati to be released with Padman on Republic day?